A single slider window is a smart and practical choice when it comes to windows installation. This type of window opens inward to make ventilation fast and effective. Besides that, you get to enjoy your view with no obstruction in the pane. Single slider window combines an appealing appearance with functionality, as its construction uses thick glass and less frame. Hardware is mostly static as the sash slides back and forth through the channel. Less movement for hardware means lower maintenance. Tilt and turn technology allows you to rotate the sash into your home, which comes in handy when it comes to cleaning, as well as providing better ventilation. Single slider windows have no size limitation and can be custom made and installed in any space. Slider windows are wider than they are tall, therefore providing a pleasant unobstructed view. The only disadvantage of the single slider window is that it has a lower energy efficiency compared to awning windows due to their lack of crank operation. However, if you compare price, quality, and durability, this disadvantage fades. Our single slider windows are equipped with weather stripping, therefore it will not let the heat out and will keep excessive humidity away from your home. Where to Install Single Slider Window? Single slider windows are usually used for smaller space on the side of the home that requires quick ventilation. In other words, bedrooms are one of the most popular rooms for single slider windows. The slider window consists of one horizontal movable sash, while the second one is fixed to ensure better efficiency and easy maintenance. They are very durable due to their fusion-welded frames and sash corners, and the drainage channels which make sure no moisture in between may result in cracks and defects. That is why when you install single slider window in your home you can be sure that it will give you no headache. 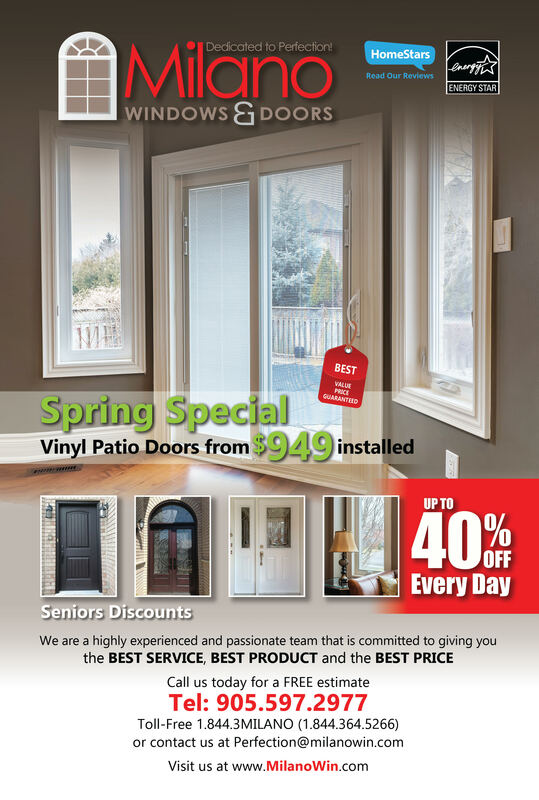 Contact Milano Windows and Doors Inc.
Give Milano Windows and Doors Inc. representative a call to get more information about services and products. Our team will be happy to answer all of your questions.